Just because winter has weaseled its way into your life, doesn’t mean you can’t look to warmer pastures to escape this chill. Here are Gordon Bayne’s (Head of Travel at Scoopon) top 5 escapes. As you find yourself shivering on the bus, freezing on the way to work or simply unable to leave your warm bed for fear of catching pneumonia, it’s hard not to miss those endless days of summer. You know the ones – where the heat stretches long into the evening and you spend your time swimming, sipping cocktails, and wondering if it’s too soon to eat again. But just because winter has weaseled its way into your life, doesn’t mean you can’t look to warmer pastures to escape this chill. Gordon Bayne, Head of Travel at Scoopon reveals the top 5 getaways that are guaranteed to get you feeling warm and fuzzy all over again. Tucked away on the South Central coast of Vietnam, Nha Trang is basically one big South East Asian playground. The minute you touch down in this destination, your freezing cold life back in Australia will be a distant memory. Known for its beaches and the stunning Nha Trang Bay, this is the kind of place where you need nothing more than a good book and a tasty cocktail. Bunker down in the brand new Vinpearl, a five star resort complete with its own amusement park and golf course – need we say more? 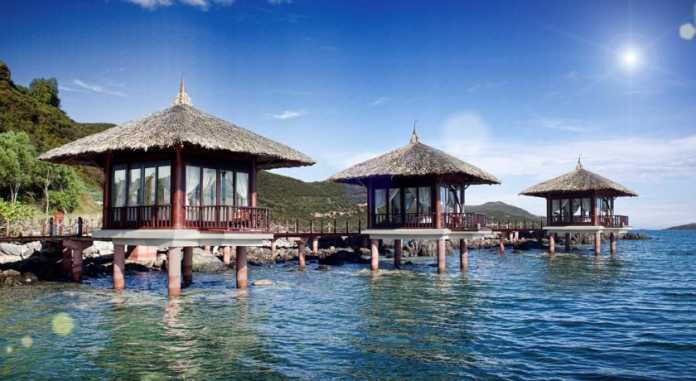 Oh, there are also massages, multiple pools, and the option to upgrade to a private villa. Trade the torrential rain and bitter chill for something a little more exotic this winter. Thailand’s Phuket has long been a favourite hot spot for Aussie travellers and it’s hardly a surprise. With the kind of beaches that belong in brochures and ‘fun in the sun’ activities that’ll entertain everyone, Phuket has it all. Our top tip is to bypass Patong – a party haven – and instead settle for Karon Beach. Book into The Old Phuket for the complete Karon experience. Located just five minutes from the beach and featuring your very own swim up pool bar, The Old Phuket is your new favourite hotel. The time has come to find the warmer, more tanned, and obviously far more relaxed version of yourself. And do you know where they’re probably hiding? Fiji! The best kept secret in the South Pacific, holidaying in Fiji is like being on the set of a Hollywood movie all the time. Set up camp on the Coral Coast which is perfectly equipped for all your summer needs. There’s scuba diving, snorkeling, lazy days at the beach, and seemingly endless cocktails. While you’re there, lay your weary head at the waterfront Naviti Resort. The resort is the perfect break from reality. Where else can you score a daily massage, have a buffet breakfast and then squeeze in a round of golf. Get on the plane – now! Bali is basically the best place to be at any time of the year, so you shouldn’t even need convincing that winter is the right time. Only a short plane ride away and before you know it, you’re dripping in sweat with a mile-wide smile. Bali has a little something for everyone, from adrenalin junkies, hopeless romantics, and of course, fun-loving families. Hanging at the beach is big business in Bali, so come prepared to lose hours simply chilling out. Seminyak is the top pick for a paradise-style trip, with the area offering world class food, bars and nightlife, not to mention stunning beaches. Bunk down at The Legian for a stay that’s nothing short of spectacular. Ah Bora Bora, the city so nice, they named it twice. There’s no better way to escape an Australian winter by opting for a summer sojourn in French Polynesia. This tiny island often tops the “best of” travel lists and that’s probably because it’s practically perfect in every way. Home to some of the world’s top resorts including Four Seasons, Hilton, and InterContinental, holidaymakers won’t be short of luxe accommodation options. Once you’ve settled on a resort, it’s time to find your groove. Get into the seaside spirit with scuba diving, jet skiing or perhaps a day tour to a nearby island? Of course, if you’re simply looking to enjoy the sunshine then that’s almost too easy. Wave goodbye to winter with a breathtaking stint in Bora Bora. Gordon Bayne is Head of Travel at Scoopon. 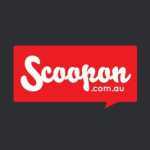 Scoopon is Australia’s leading Daily Deals Company and an integral part of Australia’s Number 1 Online Shopping Group. Previous articleIf Your Job Isn’t Working for You, Read This, Now.